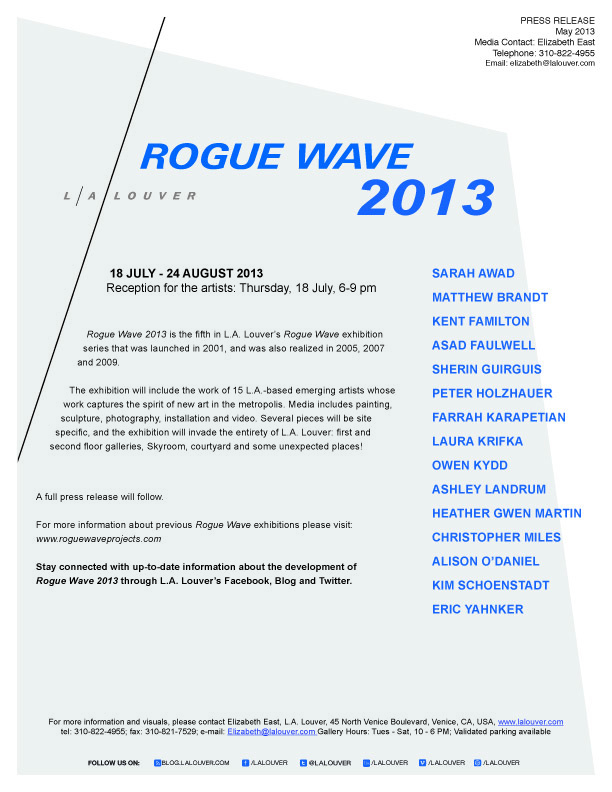 I will have new work in Rogue Wave '13 @ L.A. Louver in Venice Beach. 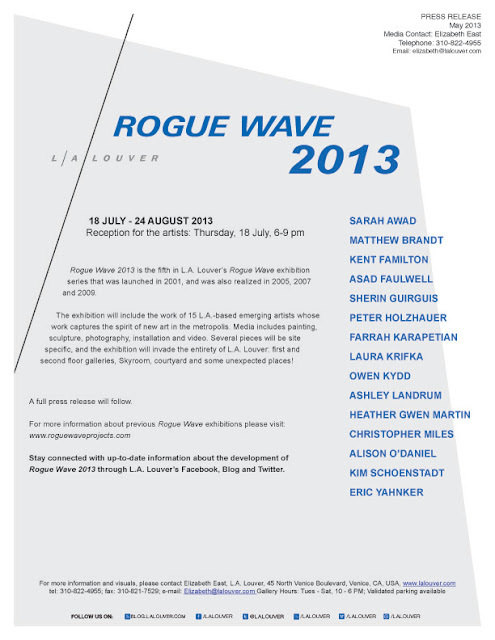 The show opens July 18th and runs through August 24th. The show will feature work by Sarah Awad, Matthew Brandt, Kent Familton, Asad Faulwell, Sherin Guirguis, Peter Holzhauer, Farrah Karapetian, Laura Krifka, Own Kydd, Ashley Landrum, Heather Gwen Martin, Christopher Miles, Alison O'Daniel, Kim Schoenstadt, Eric Yahnker.